In August 2018, an investigation revealed that Google is tracking the whereabouts of billions of its customers, even when the customers tell the tech giant not to. This discovery has received a great deal of media attention, so it can be hard to discern what information is important. Here is what you need to know about Google’s location tracking. When people use Google’s apps and services, the company collects data about their locations in various ways, including GPS, IP addresses, devices’ sensor data (e.g., accelerometer, gyroscope), and Wi-Fi access points. Google timestamps and stores this location data in users’ accounts. In other words, it tracks and stores information on users’ whereabouts over time to create a location history for each person. Some people might be surprised to learn that Google is tracking users’ locations over time. However, this practice is not new nor unique to Google. Apple and other smartphone vendors have also been doing it for quite some time. Based on this explanation, it is logical to assume that once you disable the “Location History” option, Google will no longer track and store your whereabouts. However, the investigation discovered that this is not the case. Google tracks and stores users’ location, regardless of whether the “Location History” option is turned on or off. This has been occurring for not only the two billion Google Android smartphone users but also for people using Google Maps or Google Search on Apple iPhone devices. As it turns out, disabling the “Location History” option only means that Google won’t store and use this information in Google’s Timeline feature, which displays a person’s daily movements. 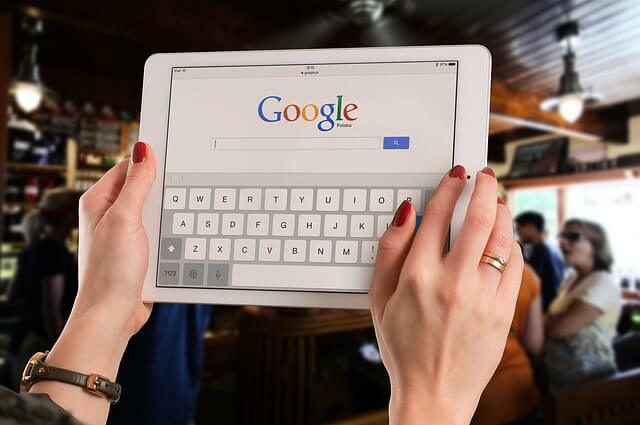 It does not prevent other Google apps and services from storing and using time-stamped location data for other purposes. Although this new description is still somewhat vague, at least it does not mislead users into thinking that their whereabouts are not stored when “Location History” is turned off. If you do not like the idea of having your location continually tracked and stored, you can minimize the amount of data stored about you by turning off two Google account settings: “Location History” and “Web & App Activity”. Disabling these settings, though, can limit personalized experiences when using Google services. For example, you won’t see recommendations based on places you have visited. You can access the “Location History” and “Web & App Activity” settings by going to Google’s “My Activity” web page, logging in to your account, and clicking the “Activity controls” link in the left panel. (If you have an Android smartphone, you can also access them through the Google account settings on the device.) Once you turn off the “Location History” and “Web & App Activity” settings, they will be listed as “Paused”, as Figure 1 shows. Disabling these options won’t get rid of the location data that is already stored, but you can delete it. Google’s “Delete searches & other activity” support page describes how to do so. Disabling these options also won’t affect other location services on your device, as mentioned on the “Manage or delete your Location History” support page. For example, Google Location Services will still be enabled, which means your device will still collect data about your location and send it to Google. However, as long as you have the “Location History” and “Web & App Activity” options disabled, Google won’t store your location history in your account.